Enjoy smooth, even skin with Killer Cover™, a waterproof, smudgeproof total blockout makeup concealer made to hide the toughest flaws. 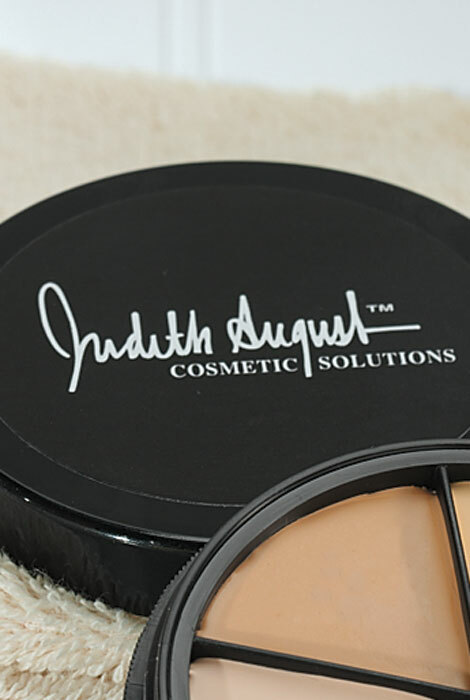 Created by a former model, Judith Augusts Killer Cover™ five-color palette covers bruises, scars, veins, and even tattoos on any skin tone—because everyone’s got something to hide! Includes spatula and blending sponge. 1 oz. I love using this product. It really does what it says. Anything that I need to cover it does. The Tattoos I needed to cover are very bright and stubborn. I applied the makeup on them for work and I work in a hospital all day. The makeup stayed on all day and I actually needed to buy the Killer Cleanser to get it off! I love this product! I use it daily to touch up any perfections, which it does perfectly~! Will always have this product for everyday use. I have dark circles and it covers them beautifully under my eyes and any pigmentation that I want to cover. My skin is getting thinner as I age and I tend to get more blemishes under my chin. My bad habit of touching my face when I am thinking about things doesn't help when I scratch or pick at the blemishes. It just takes a longer time for them to heal, so in the meantime I use the Killer Cover to hide the blemishes. I've tried a lot of other concealers but this one does the job. I do wish this product was available in individual colors at a lower price. I only use the one color and feel like I am just throwing away money on the majority of the unused colors. I guess that's a testimony to how much I like the product in it's own way...I am basically paying [$] for only one shade of the five in the compact. Finally found a product that cover my age spots on my face. This make up stays on and till I wash it off. I use this private daily I have very sensitive skin and it does not break my skin out. This is a product I can't live without . It is difficult to mix the color for a perfect match for each area. The product is very thick and it is clear you are wearing cover up. This might be feasible for someone with a scar they are trying to cover. I really can't recommend this. I actually threw mine out after using it 8 or 9 times. I tried various ways of applying it (using my finger, using a Q-tip, using a sponge pad) ... you name it! Nothing works. It's extremely waxy and therefore difficult to use. It works! Used it for years and it covers a permanent bruise on my leg. Blends to just the right color and stays put. I've bought other Judith's products. They are quite good. I have tried these types of items before. I hope these work. I look forward to come anymore after I have tried them. like the idea of being able to blend the shades to hopefully get a more accurate skin tone. Look forward to the options of color and great coverage. Great product, I've used it before. Looks like something that I have been looking for - need a long lasting concealer and one the I can blend. I use another of her products which I use daily. 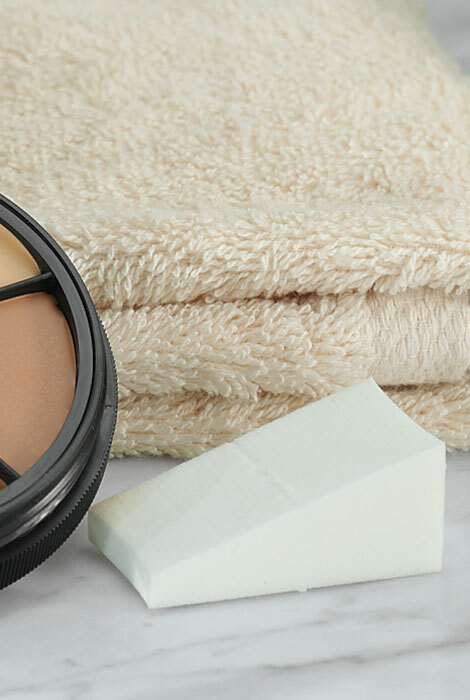 It is more or less concealer before putting on makeup. Love it. Dark circles and facial spots. Have a scare on my chin wanted to try this out! I am trying to cover a large age spot on my face. I've used this concealer for a few years and it really works. 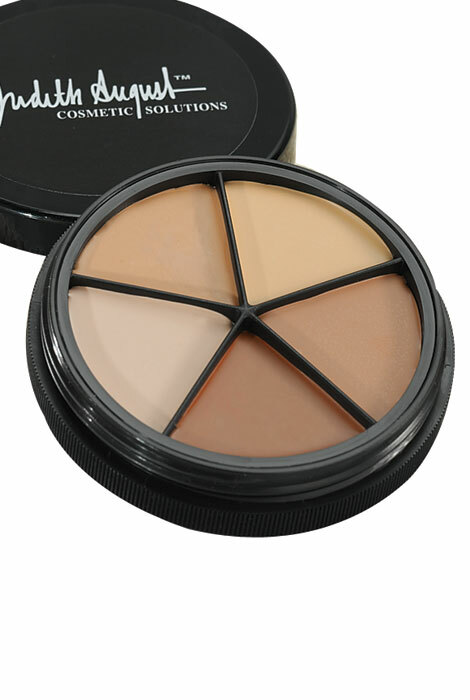 It is hard to find concealers that don't rub off and don't really cover very well. This products does both. Dark Spots on face wanted covered, works. I needed a concealer and I like the fact that you can fix the colors to get the right blend for skin as the skin tans. First time use....hope it works? Hoping it will cover my scare from acne and wont rub off on my husbands shirt! To cover facial spider veins. For Old scar on my leg. Need confident with wearing clothes that I love to wear.. According to the advertisement has a good coverage for all types of inperfections.